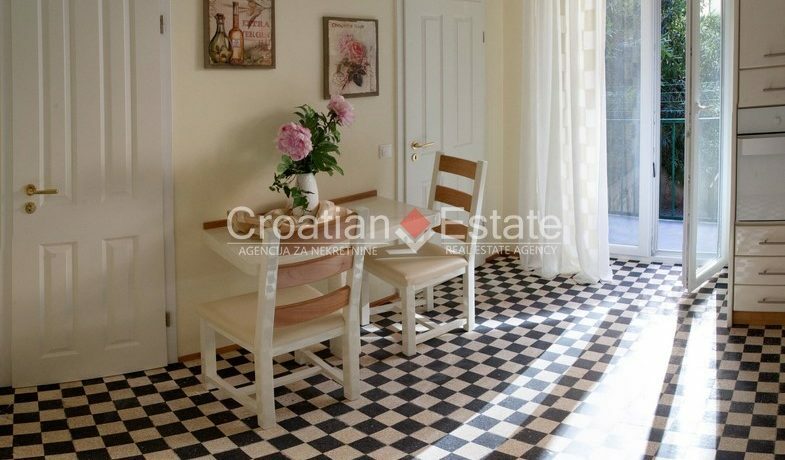 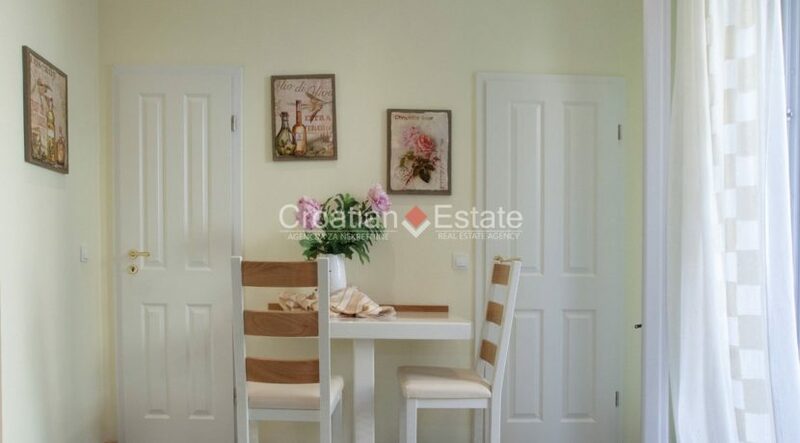 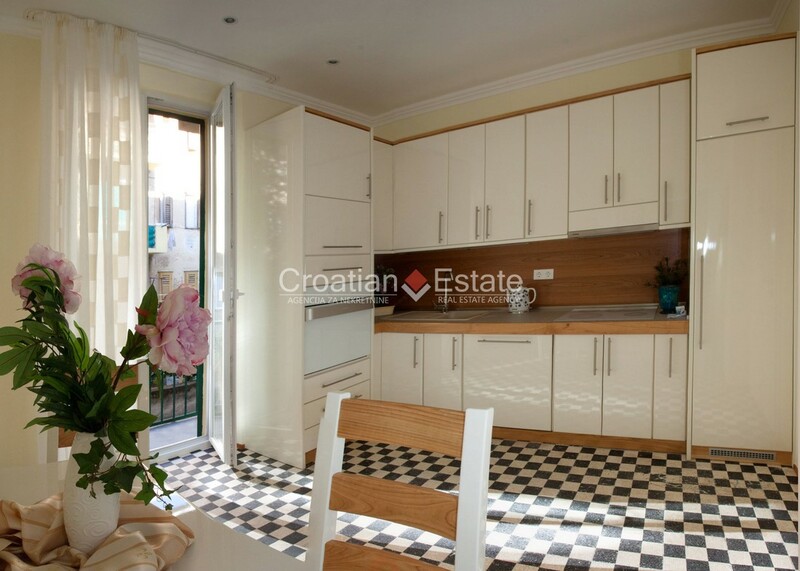 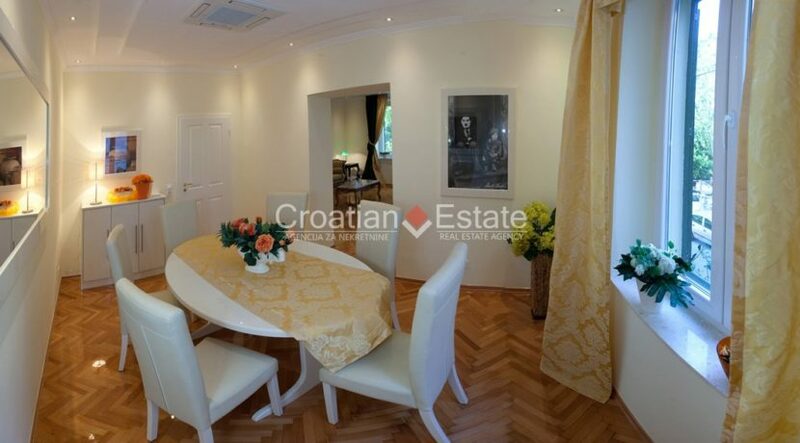 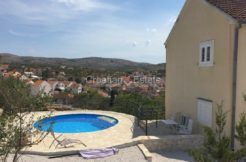 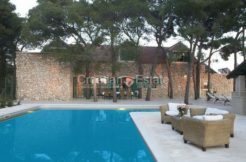 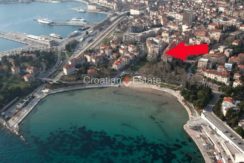 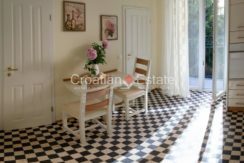 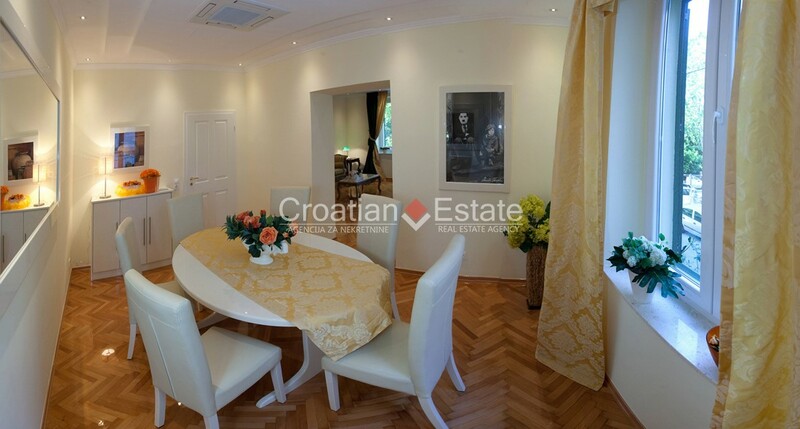 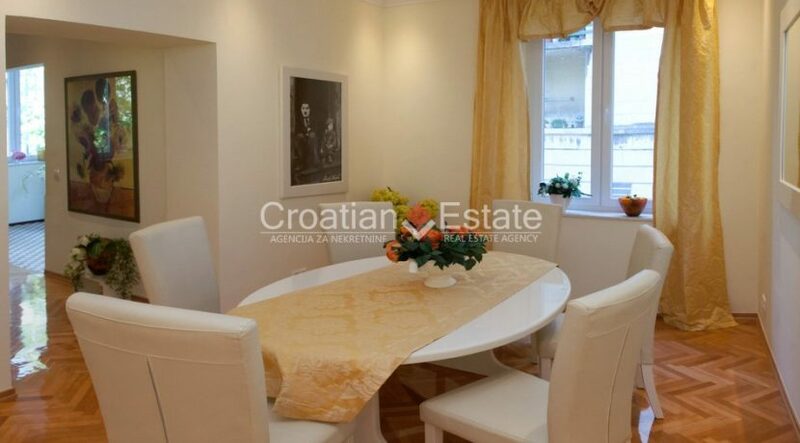 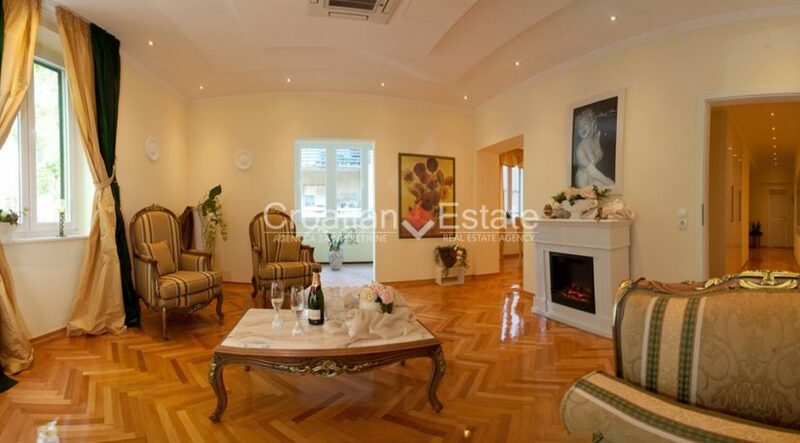 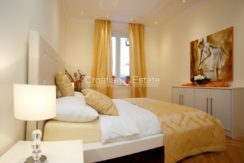 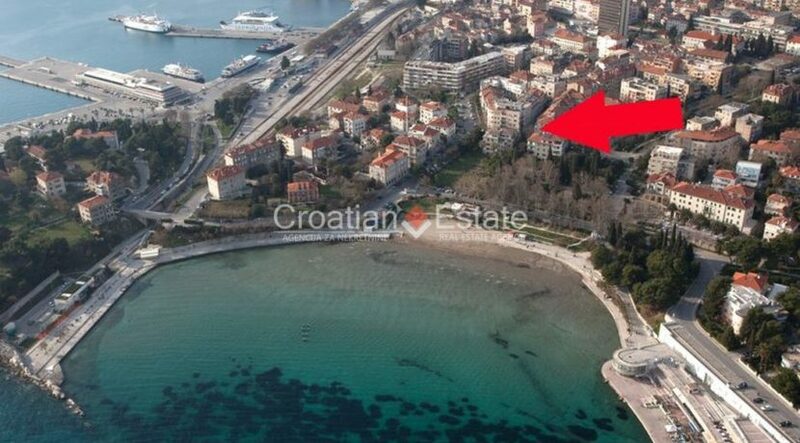 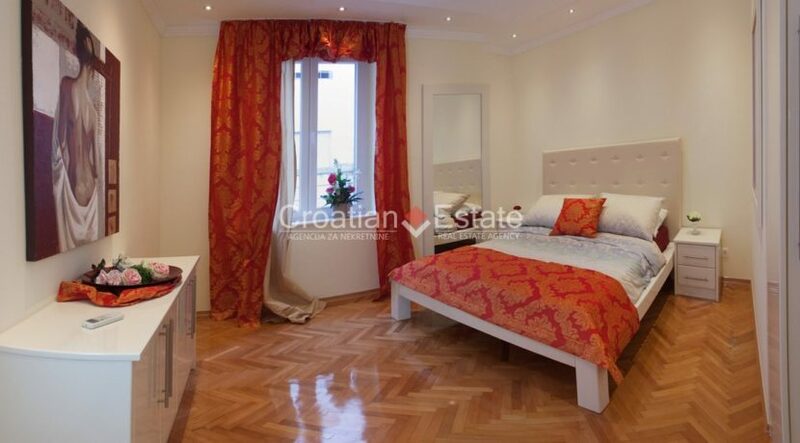 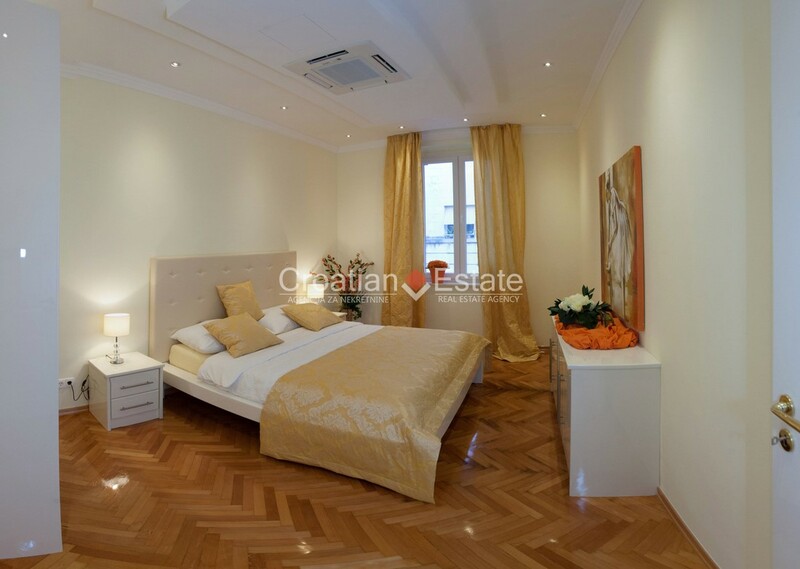 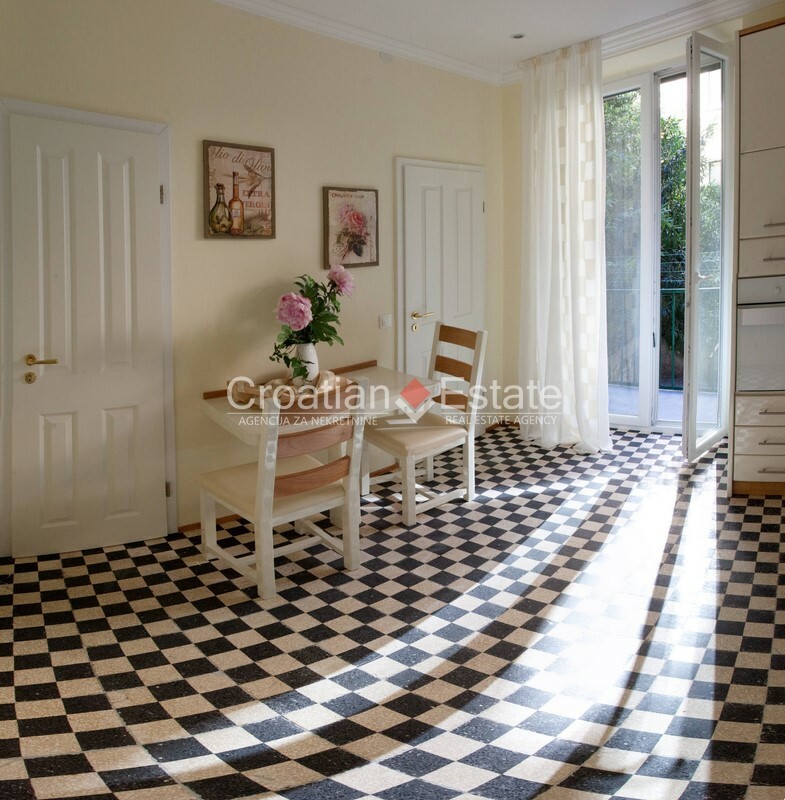 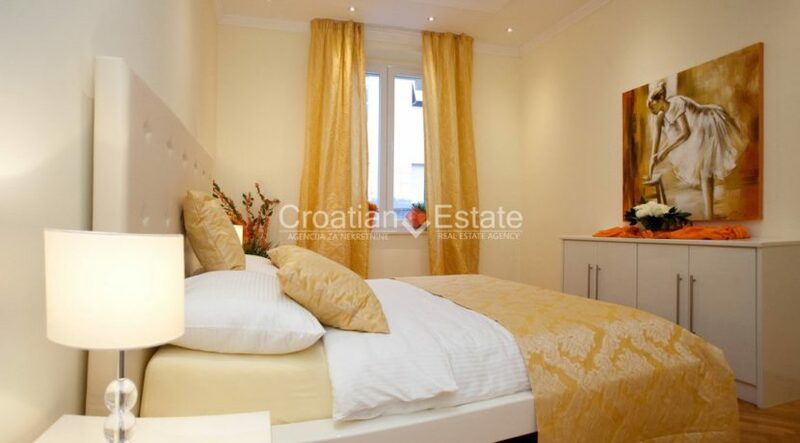 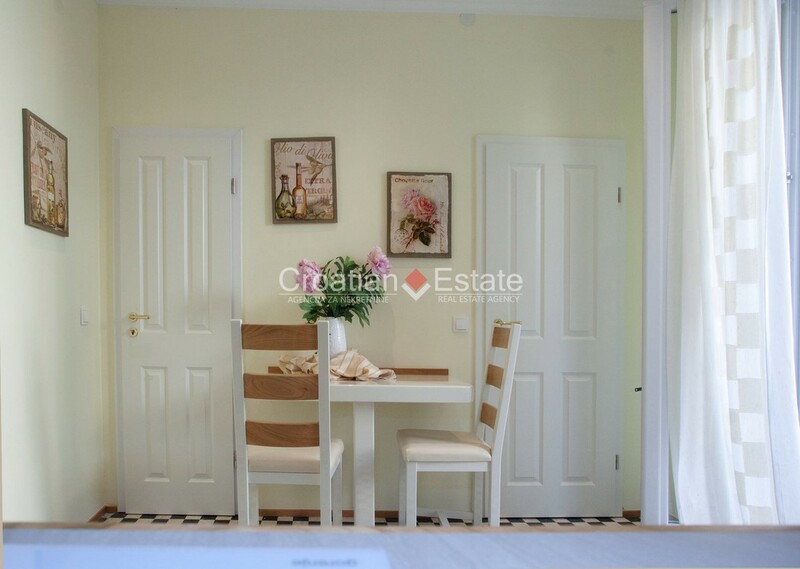 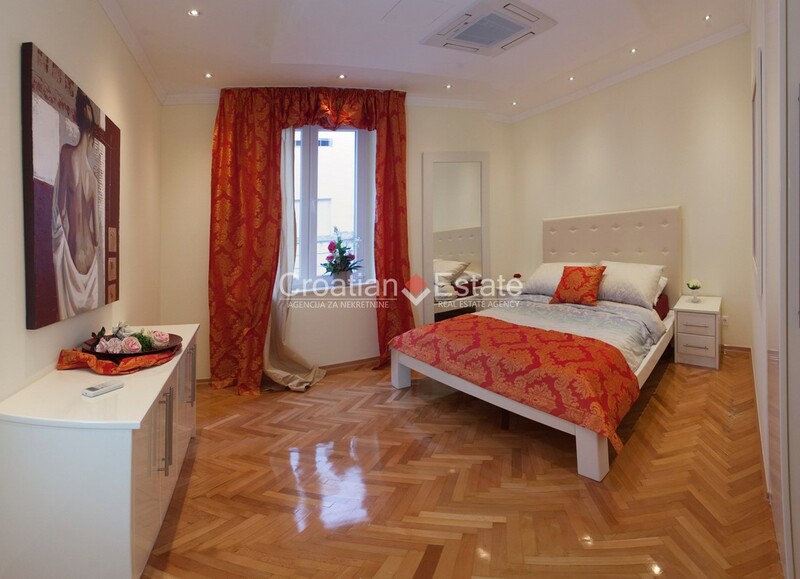 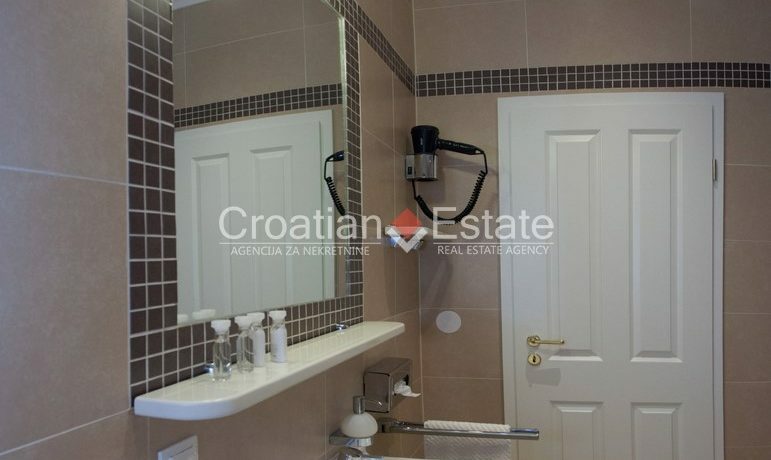 A luxury two bedroom apartment for sale in Split. 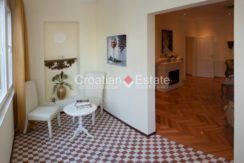 It is located on the first floor of a smaller residential building in a prime location. 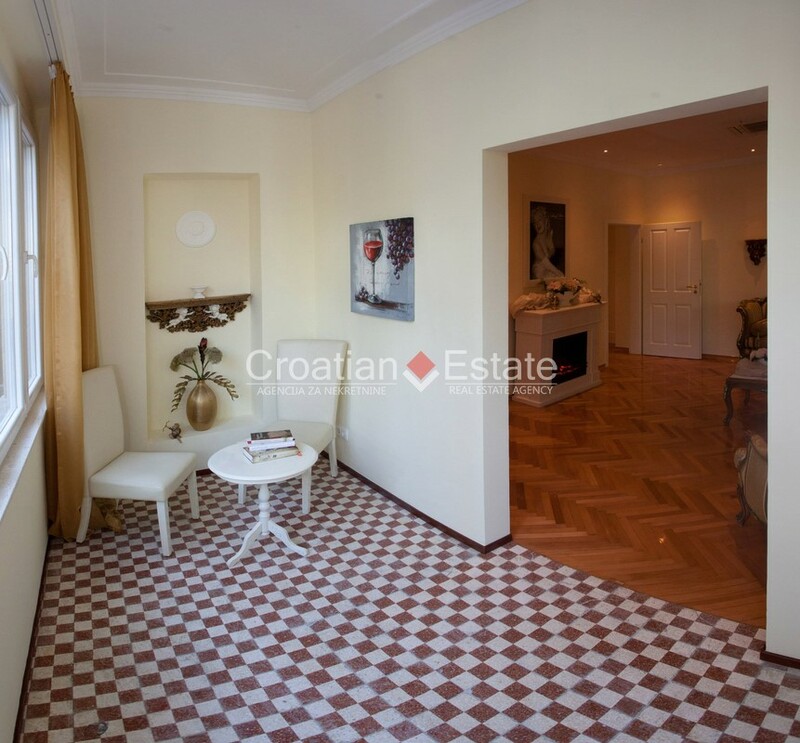 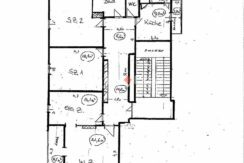 The living area of 123 m2 consists of a kitchen with balcony, a dining room and living room with loggia, a large hall, two bedrooms, a bathroom, a guest toilet and a storage room. 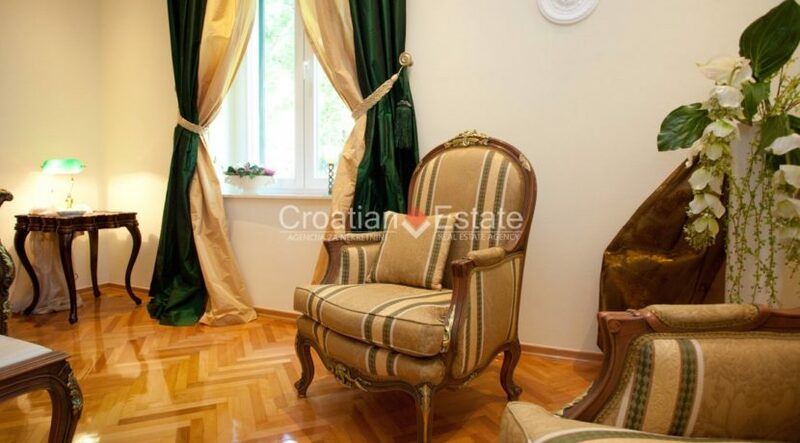 The apartment is exclusive and equipped with high quality furniture. 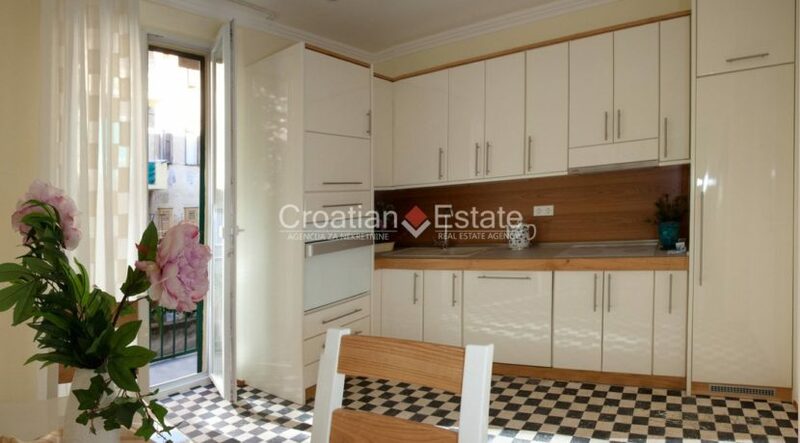 The kitchen with high quality electrical appliances is custom made and high gloss lacquered. 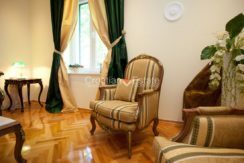 The living room is equipped with antique furniture that fits in perfectly with the decoration of the apartment. 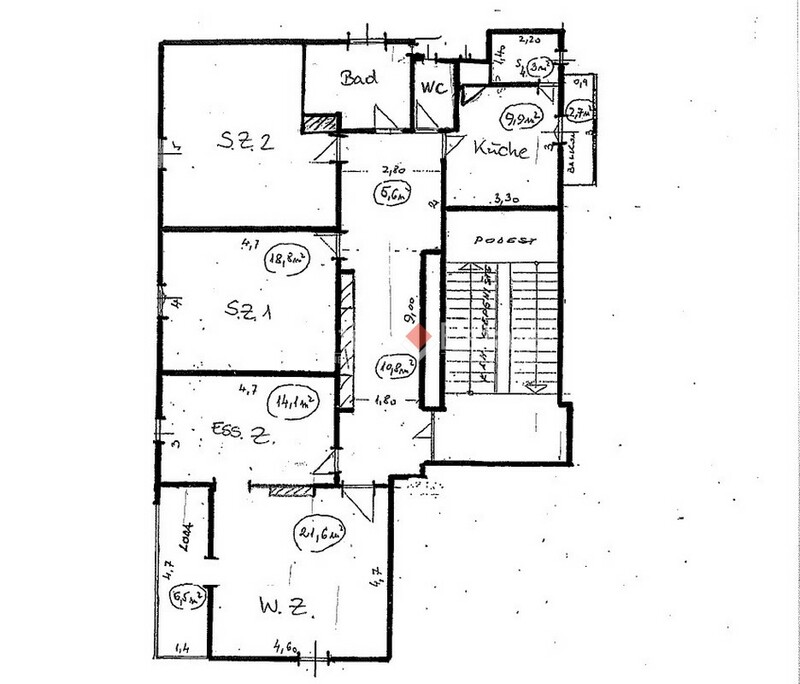 The beds, closets, showcases and dressers were also custom made. 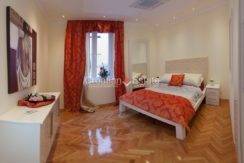 Each bed has quality mattresses. 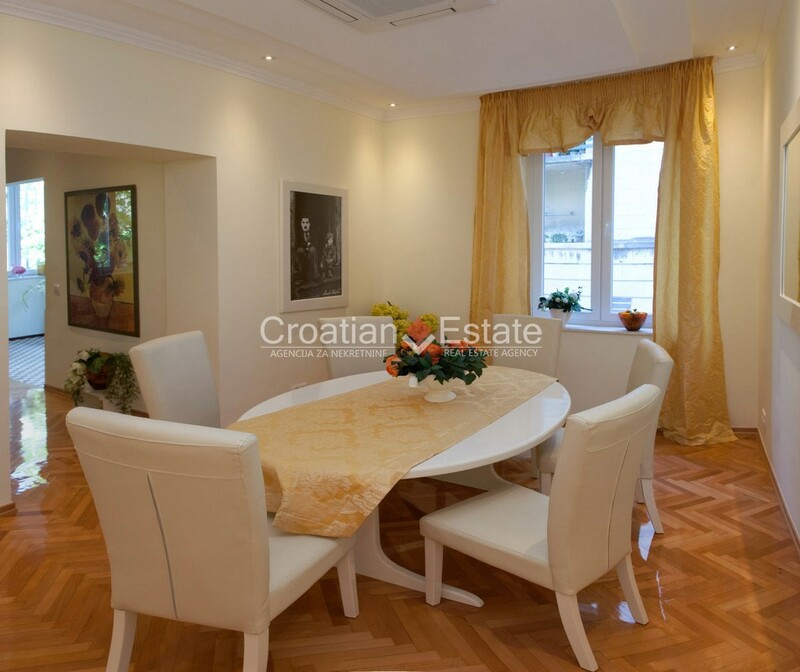 Air conditioning is integrated in the ceilings of each room. 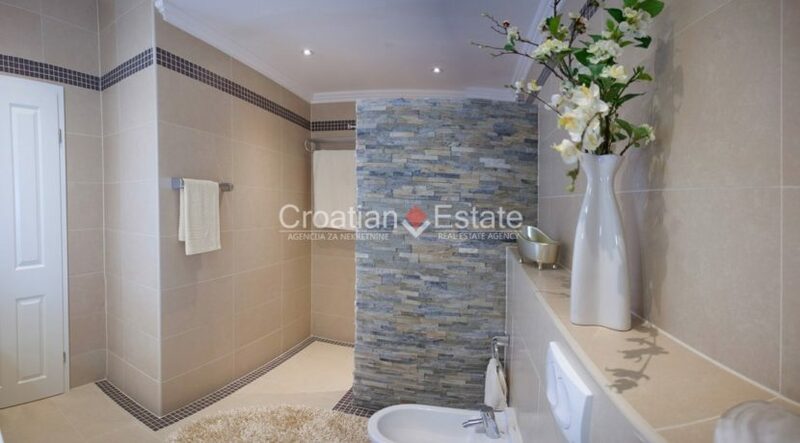 In the bathroom and guest toilet there is additional electric underfloor heating. 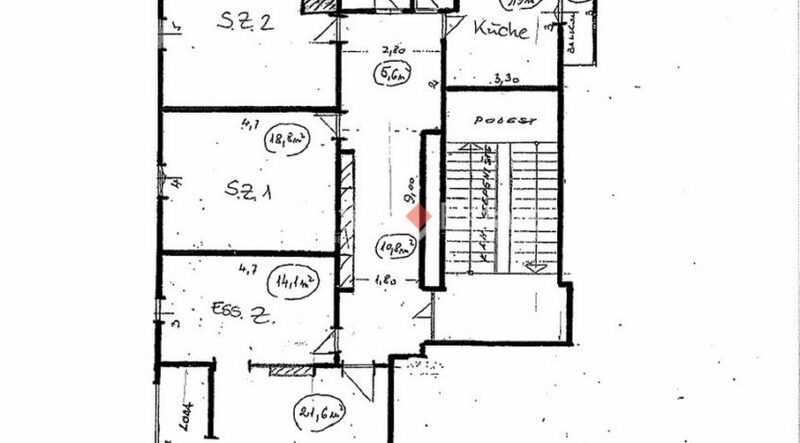 All electrical installations have been renewed and installed to German standards. 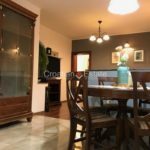 The apartment is located in the immediate vicinity of the town sandy beach Bacvice, near which the numerous cafes and restaurants can be found. 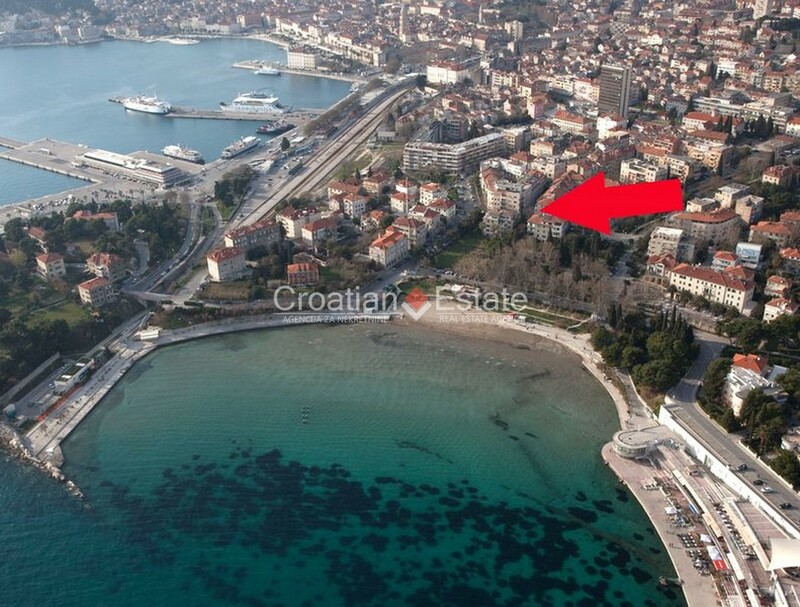 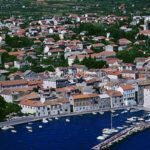 The historic Old Town of Split and its Riva waterfront are just a 5-minute walk away.